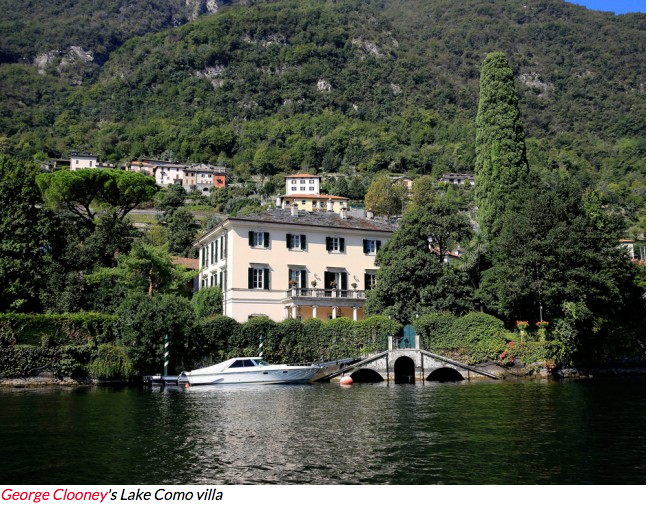 With Amal Clooney being named by The Zoe Report as one of 2015’s Style Icons, we thought it might be fun today to dream a little about the furniture and lighting designs that Leslie Hendrix Wood chose in her role as a 2015 High Point Market Style Spotter, and what might fit in Amal and George’s summer vacation home on Lake Como, Italy. 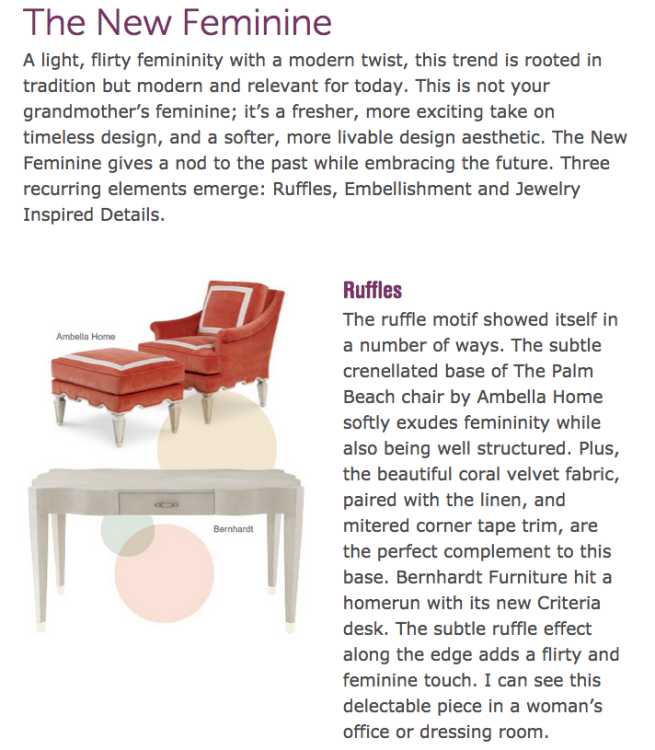 We invite you, dear Hadley Court readers, to imagine with us, now that summer is here and #HPMKT has released their Spring/Summer 2015 Style Report with the finds from all of the StyleSpotters, what she might like and to let us know what you think, in the comments. Would she choose Ambella Home’s PALM BEACH chair, with its beautiful crenellated detailing on the bottom edge for a guest bedroom? We wonder what trim she would choose for the cushions? Would she like the CRITERIA desk, from Bernhardt, with its delicately ruffled edge, for her guests who wish to have a place to send a postcard or open their laptop to answer early morning emails? 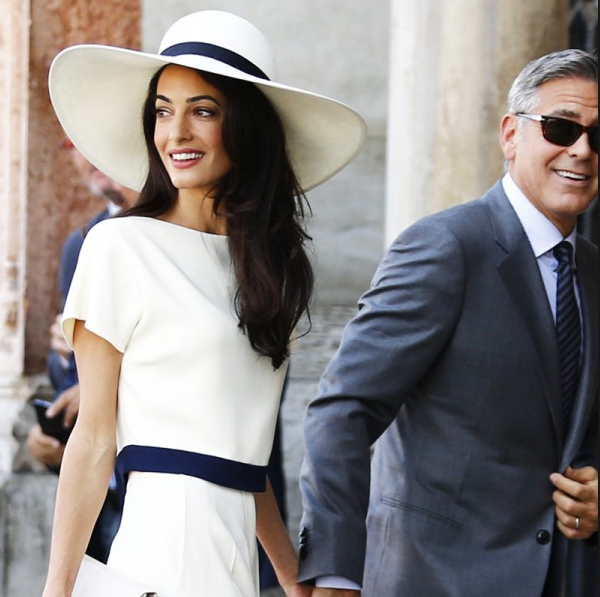 In their vacation home, she and George might prefer smaller, more intimate dinner parties during the summer, but occasionally need to accommodate more people for bigger charity events, right? 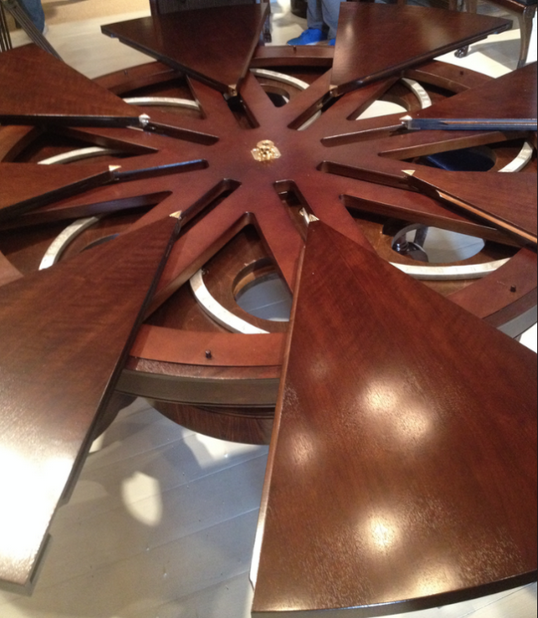 If that were the case, do you think she/they might choose the CHANDLER telescoping dining table from Century Furniture, below, designed by Thomas O’Brien, who also owns the elegant design destination AERO in New York City? The Chandler could fit well in their entry, too, as an entry table, if they already had another dining table in the formal dining room, and provide them with extra seating for their guests and children at vacation holiday times. All they would need to do would be to spin it open and insert the extra leaves. 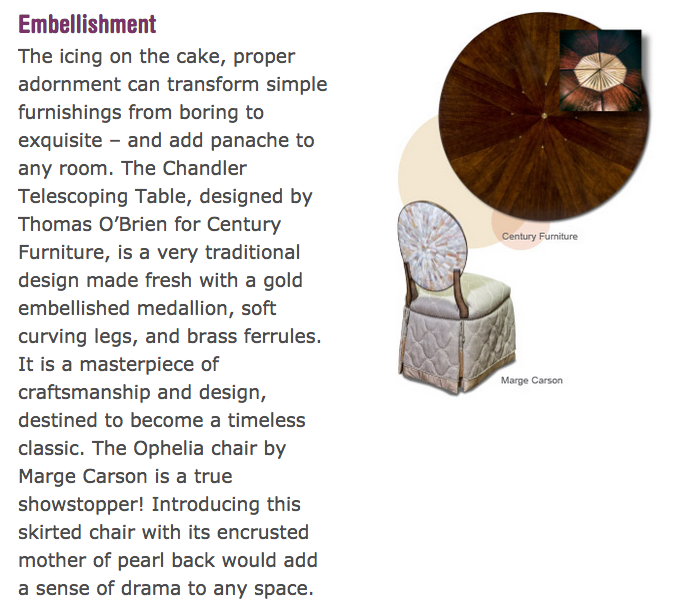 And for Bernhardt ‘s CRITERIA desk above, do you think Amal would use Marge Carson’s gorgeous OPHELIA chair, shown above? We can see the exquisite mother of pearl back on this chair in their vacation home below on Lake Como, can you? 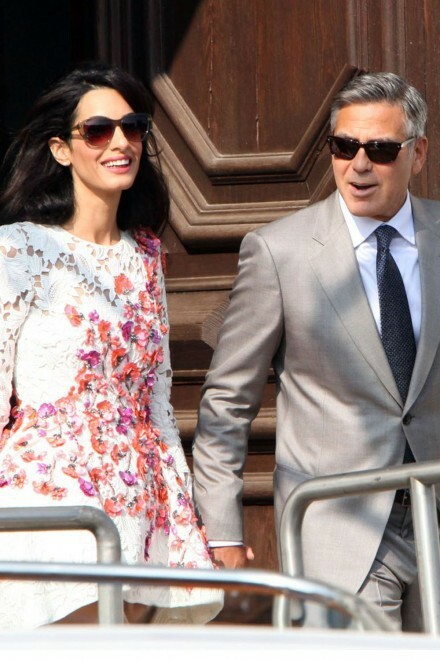 We also know Amal loves jewelry – but not too much of it. 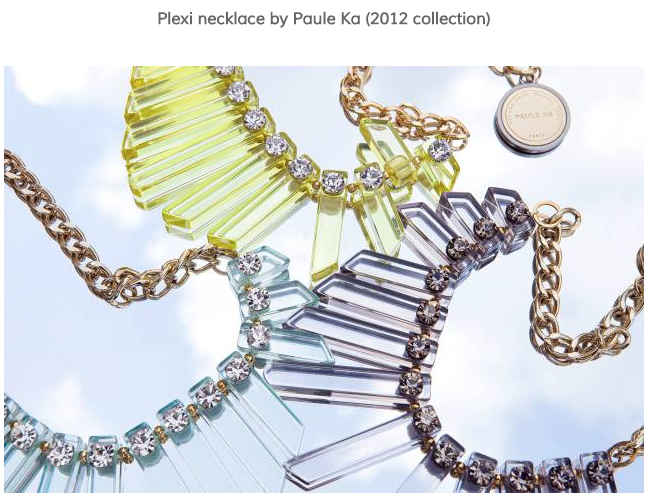 We love this beautiful plexiglass and diamond piece she’s wearing here. Just perfect for summer style! 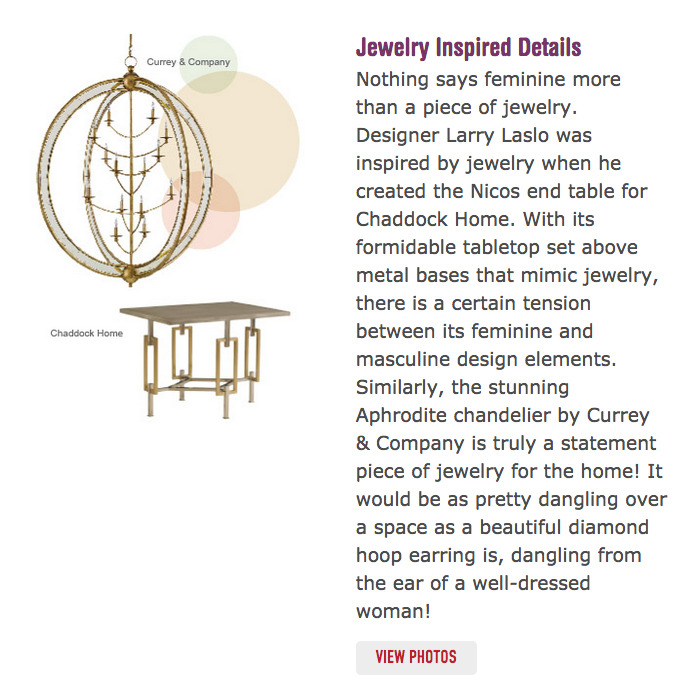 Currey and Company’s beautiful APHRODITE chandelier, could be perfect for her, where she might want to add just a touch of extra glamour and Larry Laslo’s NICOS table for Chaddock Home, with its elegant simplicity and gold detailing, might appeal to her tailored, feminine style, too. What do you think? 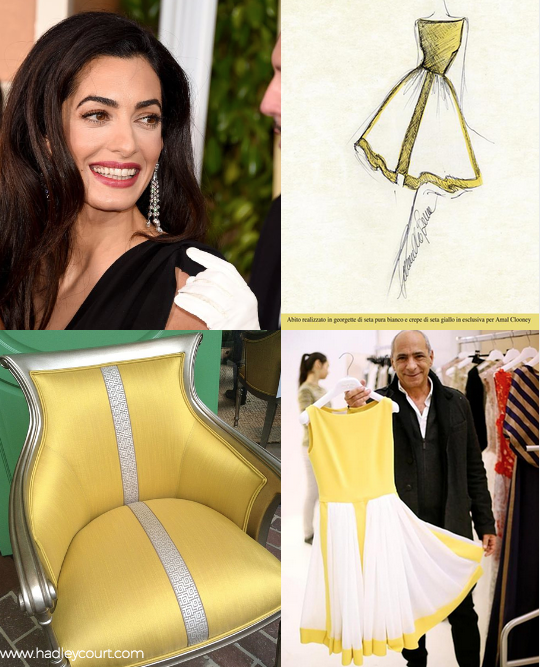 And lastly, we think, based on this dress from Italian fashion designer Camillo Bona that Amul commissioned for herself [ read the very interesting story of how she found him at the link on the bottom of this post], that she might be partial to the SIDNEY chair from Wesley Hall — that Leslie also style spotted at #HPMKT. 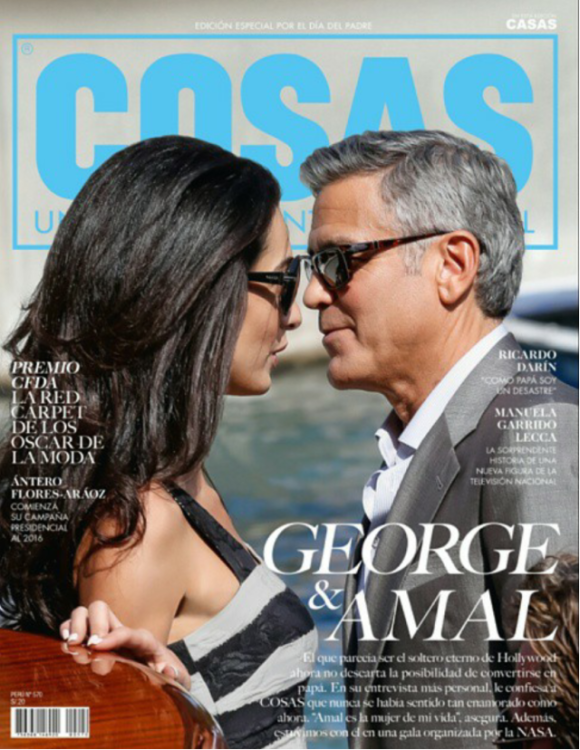 Amal and George, wherever you are this summer, in addition to here, on the cover of this magazine in Peru right now, looking so happy and in love, we wish you a wonderful time! Thank you for inspiring us and our readers, Amal, with your effortless, timeless, elegant style, a perfect reflection of #TheNewFeminine. 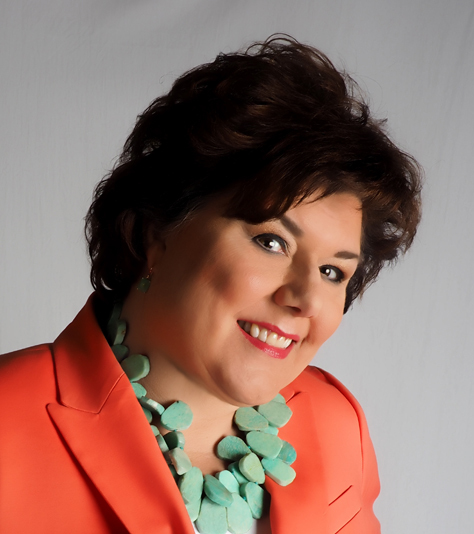 We invite you to check back with us again in late October, when Leslie Hendrix Wood will again *Style Spot* at High Point Market, the world’s largest wholesale tradeshow for furniture, art, accessories, and lighting, and see what she finds that might be perfect for your new home in England. 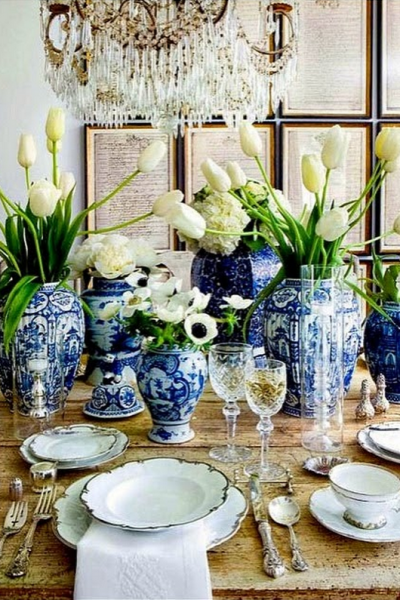 To see the full High Point Market Spring 2015 Style Report, click here. To see the story of how Amul found Camillo Bona, click here. « #CraftKitchens! Inspiring Ideas For Organizing Your Kitchen Cabinets For Crafts! What an imaginative premise! 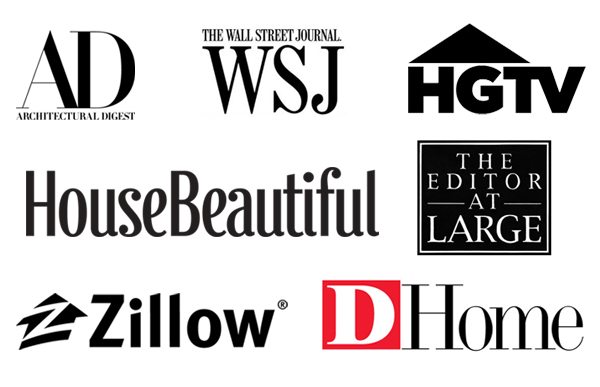 I love the lifestyle angle, the power couple and their discerning style as related to the best of High Point. Brava! Thank you, Jana! 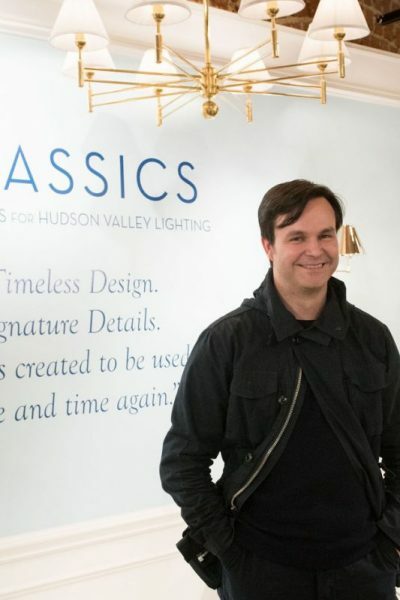 The idea for it just popped into my head as I was thinking about how to showcase the #HPMKT Spring Style Report ..and once I had the idea, it was a lot of fun to put this post together to connect the dots this way. 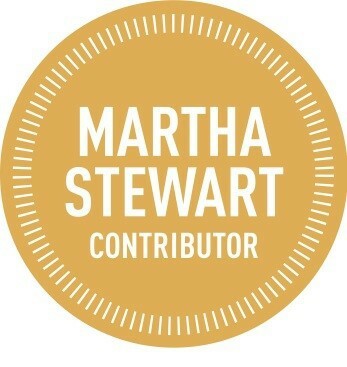 Thanks so much for taking the time to read it and then to stop in and comment. We appreciate it! Thank you, Pam! 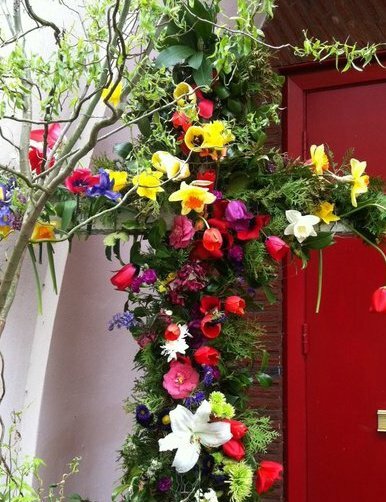 This was a fun post to do – who doesn’t enjoy a little dreaming? Thanks for stopping in!